Over 30 years ago (egads) I went to the county fair with my brother and buddy Jamie, as we did yearly. 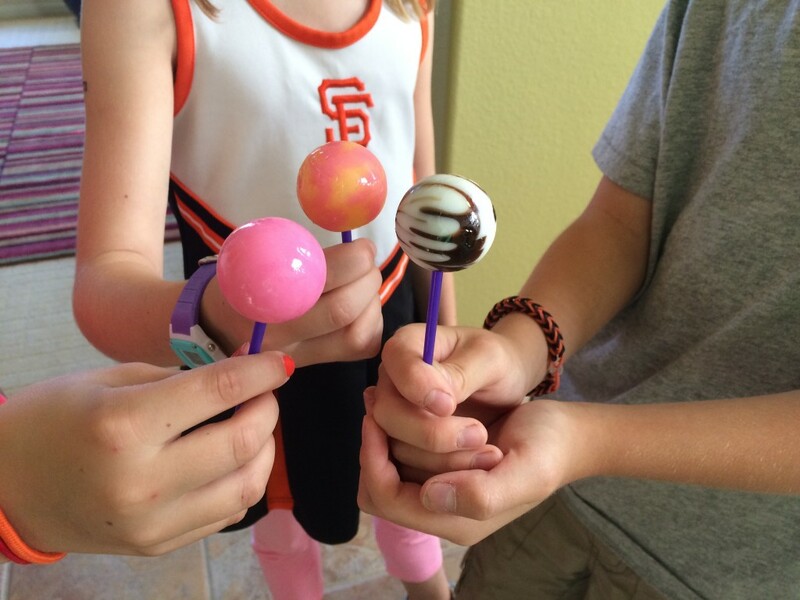 This particular year though, we saw something new: beautiful round, ball shaped lollipops in a vast array of flavors. It’s possible they existed before the mid 80’s, but we had never seen them. 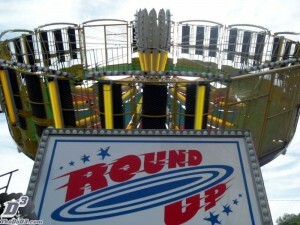 We each bought one, consumed it over the course of an hour walking around, and then proceeded to get on the a ride that makes me nauseous now just looking at it: the Round Up. See where this is going? I’m not even going to go into the horrors of this ride. Just use your imagination. For well over an hour, the three of us were straight up laid out. Dead to rights, bordering on carnival vomiters, the three of us were laying on any flat ground we could find. It was painful-and I can still somewhat summon the horrible physical feeling I had. 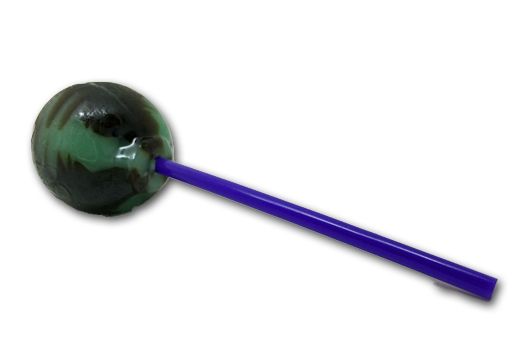 For decades we’ve spoken about this day, and the lolls have become the stuff of legends: “Oil Pops”, we call them, as they had an odd sheen like consistency when licking. We (ridiculously) blamed them for sick feelings we had. Damn oil pops. Now it’s 2014. 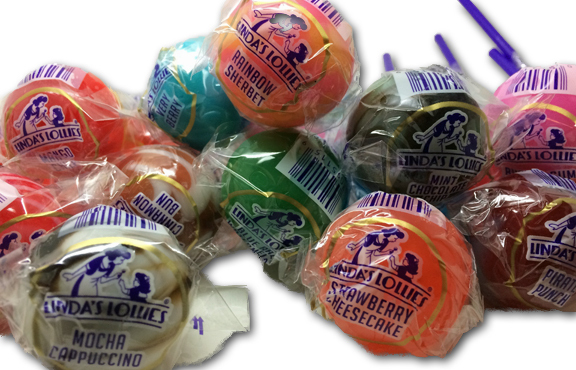 And I received a very nice email from someone who wanted us to try their revamped line of lollipops- Linda’s Lollies. Shape-wise, they look exactly like the oil pops. It was a full circle moment for me, and while I feared what I was about to taste, I knew I had to do it. I had to be brave. More importantly, I had sworn off spinny rides over a decade ago, so…maybe I was gonna be alright. The first obvious difference between Linda’s and the oil pops were the flavors. Yes, there was a wide selection back in the 80’s, but nothing newfangled like I was seeing here: blueberry muffin, maple pancake, cinnamon bun, mint chocolate chip, chocolate marshmallow sundae, candy apple- the list goes on. Also, the look of these were different than the dreaded oil pops- these had different layers, ripple patterns in them. Very trippy looking. Having said that, I certainly wash’t gonna be the first to try them, in the event that tummy turmoil ensued. So Jonny Guru Jr. & Mrs. Guru were first to try- Jr. had Chocolate Marshmallow Sundae, and the Mrs. tried Pina Colada. They both really liked them. Hmm. I decided it was safe to take the next step- I tried a lick of each. And immediately, it became clear that these are not, in fact, your momma’s rendition of the oil pop. These are new school, gourmet pops. These are good. -this tastes like mint. And chocolate. -Can I watch TV now? Soon, his friends came over, the remaining Mini Gurus®. They were eating, from left to right, Bubble Gum, Rainbow Sherbet, & Mocha Cappuccino. 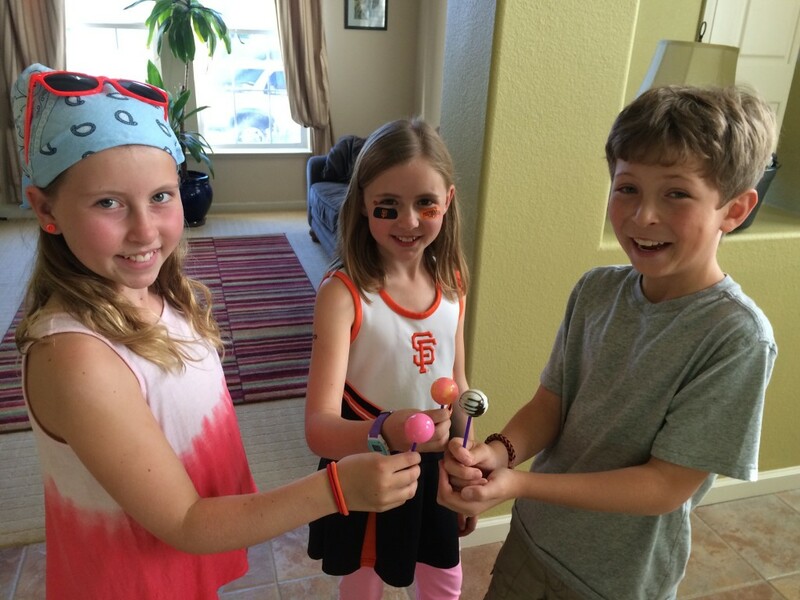 Again, they all liked them and the girls noted the “strong flavors”. But enough of them, they’re kids. I had to go deep into one, and picked Strawberry Cheesecake. I immediately noticed to big strawberry flavor, but then other notes came in: rich, spiced notes. I definitely got the cheesecake thing, and even though cheesecake isn’t so much my jam, I enjoyed this pop. It really tastes like the target flavor, and that’s where I think Linda’s Lollies has really nailed it. Here’s a conundrum though: A lot of these flavors are actually a bit mature for little punks like these, and oldies like me “generally” don’t like lollies. So where does that leave these? I’m not sure, but I know that I like them. Also, these most definitely are not oil pops. 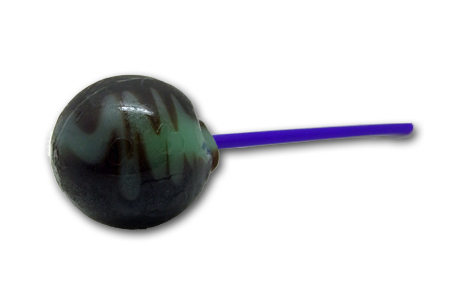 These are truly gourmet lollies-and they’re a bit unique, as there aren’t a ton of those out there, at least not widely available. If you’re a lollipop lover, or want to try something a bit different but still accessible, click the link below. If you are looking for individual Linda’s lollies flavors, I have a website: sugarrainbow.com.